Set for its 3rd annual running in the early spring here just outside Oregon’s second-biggest city, the Oregon Women’s Half Marathon — which welcomes men to participate in either the 13.1-mile or the 5K race — takes runners on a mostly flat and fast out-and-back run, with long stretches along the Fern Ridge Trail. 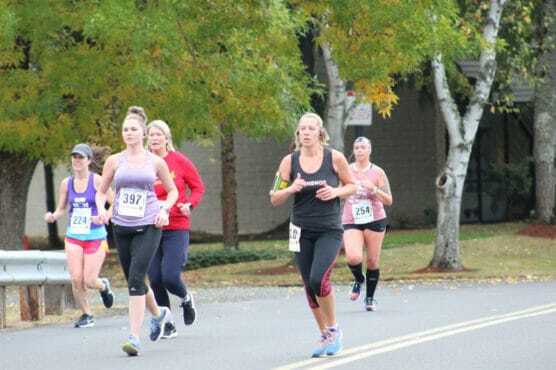 Runners will start the race at the Noble Estate Winery’s Urban Tasting Room on Commercial Street in western Eugene, between 5th and 6th Avenue. From there, the route heads south and west, jumping onto the Fern Ridge Path after the first few turns. You’ll stay on the paved running, walking and biking trail for the next 3 miles or so, before meeting up with the country roads that unfold through the West Eugene Wetlands, a nearly 3,000-acre conservation district that’s filled with wet prairie, grasslands and wildflowers, and also serves as a habitat for Oregon’s state bird (the western meadowlark). The route follows a big looping run around Green Hill Road, Bodenhamer Road and Royal Avenue, before runners rejoin the Fern Ridge Path and head back to where they started for the race finish. Once you make it back to the biking trail, you’ll remain on paved surfaces until you make it back to the urban tasting room on Commercial Street, where you’ll cross the race finish line. Runners will receive a race medal, a stemless wine glass and a mimosa at the finish. Located along the banks of the Willamette River in western Oregon, Eugene typically sees cool to mild temperatures in April and usually drier weather than most months of the year, averaging just over 3 inches of rainfall for the month. See the race route map for the Oregon Women’s Half Marathon here. 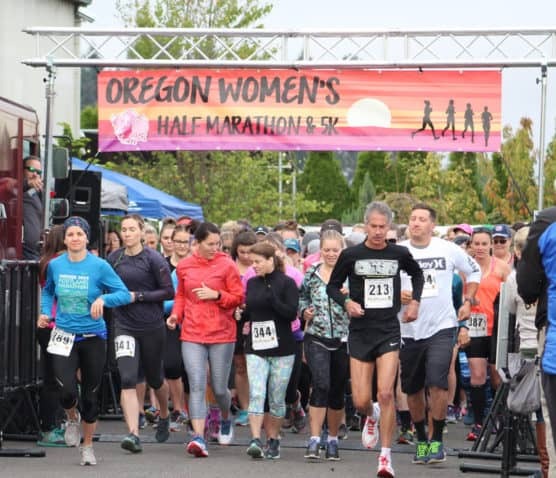 To reserve your spot in the 2019 running of Eugene’s Oregon Women’s Half Marathon or 5K race, register online at GetMeRegistered.com here. Ever run in the Beaver Island Half Marathon? Share your impressions here, as well as anything you learned about the race that you think other runners/walkers should know.